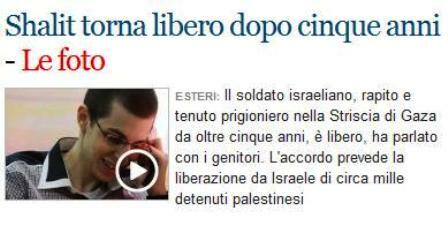 Accordo tra Israele e Hamas | Gas-info | …la mia traccia sul web…. Israele, con una decisione adottata dal “Consiglio di difesa” del governo, si accinge a liberare 20 detenute palestinesi (19 provenienti dal West Bank e una da Gaza Strip) dopo che oggi avrà ricevuto in cambio da Hamas un filmato che dimostri che il soldato Ghilad Shalit – prigioniero a Gaza dal 2006 – è ancora vivo. Lo riferisce il sito online http://www.debka.com/index1.php, che cita fonti ufficiali. 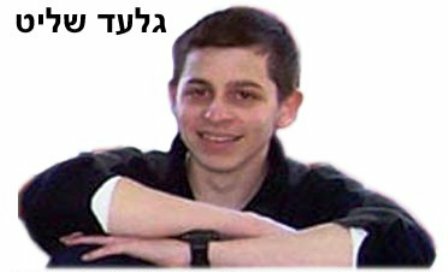 Questi sviluppi sono legati alla mediazione fra Israele e Hamas condotta dall’Egitto e da un emissario dei servizi segreti della Germania che è entrato nella striscia di Gaza ben 15 volte in queste ultime settimane. Israele bombarderà i siti nucleari dell’Iran entro il 2009? Yay! He is looking betetr and betetr. And thanks for bringing that story to my attention. I wasn’t aware that he wrote that and the little bit you quoted makes me want to ask my Israeli partner more about it and find it. It is a good sign that he is able to go out dancing and clubbing so soon! I am so happy for him and his family. He is and will forever be a hero for many people in this country. It might even be a kind of Kennedy moment sometime in the near future: where were you when we finally got our boy back? <3 Great story, thanks for sharing. Thanks so much for such an in-depth and heartfelt rievew of Heart of Haiti!! We thank you and hope you have a great Mother’s Day!!! Your support goes a long way!